Blackbird Techs. 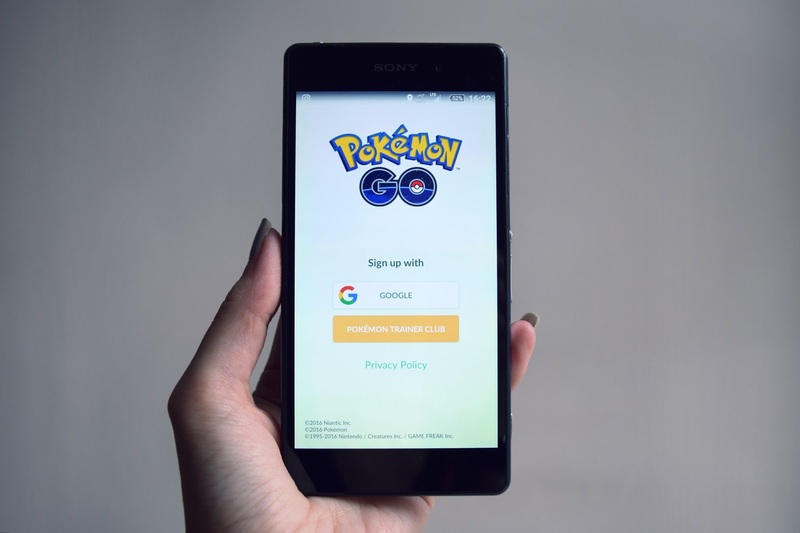 v. Niantic, Inc.
November 28, 2018 — Video game developer Niantic recently experienced a setback in its defense of a patent infringement suit brought by Blackbird Technologies in the U.S. District Court for the District of Delaware. See Blackbird Techs. v. Niantic, Inc., C.A. No. 17-cv-1810 (Del. Oct. 31, 2018). 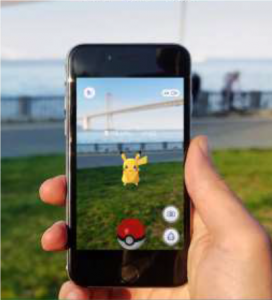 Niantic is best known for its Pokémon Go video game. In December 2017, Blackbird accused the location-based, augmented reality features (see graphic below from Blackbird’s complaint filing) of Niantic’s Pokémon Go smartphone application of infringing Blackbird’s U.S. Patent No. 9,802,127 (the ’127 patent). Blackbird alleged that the ’127 patent, which has a priority filing date of April 2011, claims improvements in the video game field that made augmented reality more practical to execute. Niantic sought to dismiss the suit in the wake of the U.S. Supreme Court’s Alice Corp. Pty Ltd. v. CLS Bank Int’l, 134 S. Ct. 2347 (2014), decision. Niantic argued that the ’127 patent was invalid as patent ineligible subject matter under Alice and should be dismissed at the pleading stage. The Delaware court disagreed—leaving Blackbird’s ’127 patent intact (for the time being) and leaving Niantic to defend the suit or consider settlement. In Alice, the Court laid out a two-part test to determine whether inventions are directed to patent ineligible subject matter under 35 U.S.C. § 101. First, the court must determine whether the claims at issue are directed to abstract ideas. Second, if the claims are directed to abstract ideas, the court then considers the elements of each claim both individually and as an ordered combination, to determine whether the additional elements transform the nature of the claim into a patent-eligible application—i.e., a search for an “inventive concept.” The Alice Court stated that in applying the § 101 exception, courts must distinguish between patents that claim the “building blocks” of human ingenuity versus those that integrate the building blocks into something more, thereby transforming them into a patent-eligible invention. storing at least said second position indicator in said memory when said video game is not executing. (‘127 Patent, col. 9, line 19 – 43). The Blackbird court found that the mapping step in claim 1 is tethered to specific instructions about which images are to be mapped (e.g., camera images from the user’s physical location), where those images are to be mapped (e.g., the video game virtual environment), and how those images are to be displayed (e.g., as a video wherein the user experiences both real and virtual objects within the video game virtual environment). 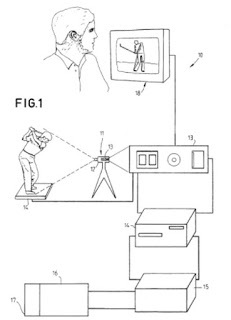 The ’127 patent allegedly solves the problem in the industry of being confined to a “predetermined and merely virtual location” in a video game by “incorporating a user’s physical location as part of the game environment.” And solves it with specific ways of first taking camera images of the user’s physical location (i.e., a real physical space) and then mapping those images as a video into the virtual game environment. The Blackbird court concluded that the ’127 patent claims, like the claims directed to lip-sync technology in McRO, are “directed to the creation of something physical”—the display of camera images depicting the user’s location overlaid with the virtual images from the video game “for viewing by human eyes.” The claimed improvement is to how the physical display operated, that is, to “produce better quality images” by simultaneously displaying real and virtual objects, creating a more interactive video game environment. See Blackbird, slip op. at 7-8. Moreover, the Blackbird court found persuasive that the ’127 patent claims include “specific instructions on how the mapping is done,” and were not merely result-focused. See Blackbird, slip op. at 7 (citing to Electric Power Group, LLC v. Alstom S.A., 830 F.3d 1350 (Fed. Cir. 2016)). Click here to download the decision in Blackbird Tech. 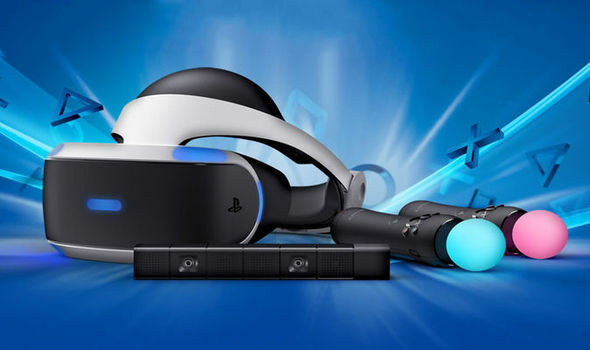 v. Niantic, Inc.
On October 3, 2018, Motiva Patents (Motiva) filed three lawsuits against Sony PlayStation, HTC Corp., and Oculus VR claiming the three companies infringed upon five Motiva patents, U.S. Patent Nos. 7,292,151 (the ‘151 Patent), 7,952,483 (the ‘483 Patent), 8,159,354 (the ‘354 Patent), 8,427,325 (the ‘325 Patent), and 9,427,659 (the ‘659 Patent). The asserted patents all describe systems for tracking a user’s movement, positioning, and/or orientation by using one or more hand-held transponders that are in communication with a processing system. According to the complaint, the defendants have directly infringed by making and selling the PlayStation VR, Vive, and Oculus Rift with hand-held controllers that also track motion. Also, the complaint alleges the defendants indirectly infringe the asserted patents by inducing third-parties to directly infringe the patents. Motiva is asking the court for a permanent injunction or ongoing royalties for future infringements plus money damages for past infringements. wherein said first communication device receives and processes said data signals from said processing system and wherein the output device provides sensory stimuli according to the received data signals. (‘151 patent, col. 35, line 39-54). The current trio of cases is not the first time Motiva has gone after a video game company for using a motion tracking controller. In 2008, Motiva claimed Nintendo’s Wii Fit infringed the ‘151 Patent. In that case, only the ‘151 Patent was asserted against Nintendo. The case eventually found its way to ITC because Motiva alleged Nintendo had violated section 337 by importing infringing products. The administrative law judge found there was no violation of section 337 and terminated the ITC proceeding on January 4, 2012. After the ITC’s decision, the two parties settled the original lawsuit in 2014. 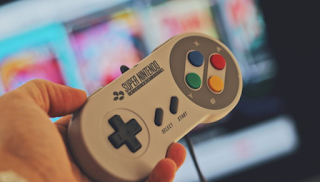 For more information on Motiva v. Nintendo and the ITC proceedings click here and here. Motiva’s lawsuits against Sony, HTC, and Oculus has just begun. Most likely, the defendants next step is to petition the Patent Trial and Appeal Board to institute Inter Partes Review proceedings on the asserted patents. We will continue to follow these cases and provide updates when available. P.S. Check out Johnny Lee’s video on head tracking using a Nintendo Wii back in 2007. It doesn’t beat the patents’ earliest priority date, but it just goes to show this has been going on a long time. On June 4, 2018, Groove Digital filed a lawsuit in the District Court of Delaware alleging King.com infringed upon U.S. Pat. No. 9,454,762 (the ‘762 Patent), titled “System and Method for Delivery of Content to a Network Device.” Groove Digital claims the ‘762 Patent relates to push notifications for mobile apps. 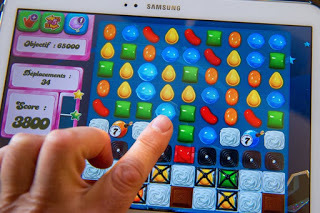 In the Complaint, King’s game, Candy Crush Saga, infringes upon the ‘762 Patent. wherein the microprocessor compares the first set of information to the second set of information to determine whether the content should be transmitted to the networked device for display by the one or more applets. (‘762 patent, col. 14, lines 9-43). The ‘762 Patent has an interesting prosecution history. Samuel Gaidemak and Paul Chacko filed the ‘762 Patent on March 17, 2006, but the USPTO did not issue the patent until September 27, 2016. During those ten years, the PTO issued eleven office actions against the ‘762 Patent. On average a patent will face three or four office actions. The more office actions a patent faces, the more prosecution history estoppel the patent acquires, which is used to narrow the patent’s claims and restrict the owner’s use of the doctrine of equivalents. Groove Digital is asserting the doctrine of equivalents in addition to allegations of literal infringement. King has not yet filed an Answer in response to the Complaint. Groove Digital is also suing United Bank for infringing the ‘762 Patent. Normally, we do not report on non-video game related case, but this is the only other lawsuit in which the ‘762 Patent is asserted. Groove Digital filed the lawsuit against United Bank on December 1, 2017, in the Eastern District of Virginia. The Complaint in that lawsuit alleges that United Bank’s mobile banking app infringes the ‘762 Patent by using push notifications, and the Complaint filed against United Bank is very similar to the Complaint filed against King. United Bank has only filed a motion to dismiss for lack of jurisdiction. These lawsuits against United Bank and King could be the start of Groove Digital suing every mobile app developer that uses push notifications, so it will be interesting to see if Apple takes notice (in view of the integrated push notification technology built into iOS). We will continue to follow Groove Digital’s lawsuit against King and provide updates when available. 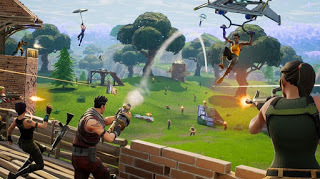 On April 23, 2018, Epic Games, Inc. (“Epic”) filed a response to a Motion to Dismiss filed by Lauren Rogers, the mother of a teenaged Fortnite hacker (“C. R.”) facing a copyright infringement and breach of contract lawsuit filed by Epic last year. Epic’s complaint argues that C.R. infringed its copyrights by injecting unauthorized computer code (that is, cheats) into Fortnite. C.R. allegedly recorded himself cheating in Fortnite and uploaded those videos to YouTube. Epic filed a DMCA request to take down those videos, to which CR apparently replied: “i did noting rong this strike is all wrong I was modding in a video game that isn’t against youtubes TOS Why was i striked ‼!.” According to Epic, C.R. had been banned from Fortnite at least fourteen times, but continued to dodge bans using fake names. Neither C.R. nor his mother have legal counsel. The suit is extremely similar to Epic’s other Fortnite lawsuits (discussed here, here, here, here, here, here, and here). Ms. Roger’s Motion to Dismiss, actually a letter filed by Ms. Rogers, allegedly admits that C.R. was a cheater but argues that the case should be dismissed because (1) Epic “has no capability of proving [that C.R. performed] any form of modification,” because (2) Epic “illegally” released C.R.’s name, because (3) Epic cannot prove “profit loss” from the cheating or that C.R. profited from his cheating, and (4) because Epic’s contracts (e.g., its terms of service) are invalid because C.R. is a minor. Epic responded by not only moving to seal certain portions of the trial record, but also by arguing that it was not required to make certain proofs at the pleading stage, and that, in any event, Ms. Roger’s arguments were legally unfounded. These developments appear to put Epic in a useful, albeit awkward, position. On one hand, this suit provides a clear warning that even minors may find themselves sued for cheating in Fortnite. 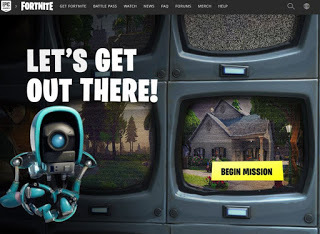 On the other hand, Epic is now pursuing a copyright suit against an unrepresented teen and his mother – definitely an interesting position from a public relations perspective. On April 11, 2018, Infernal Technology, LLC and Terminal Reality, Inc. (“Infernal”) filed a complaint for patent infringement against Microsoft Corporation (“Microsoft”). The asserted patents, U.S. 6,362,822 and U.S. 7,061,488, relate to lighting and shadowing methods for graphics simulation. According to Infernal, both patents have already survived an Inter Partes Review challenge filed by Electronic Arts in 2016. According to the complaint, Terminal Reality was the developer of games such as Nocturne, Bloodrayne, Ghostbusters: The Video Game, Kinect Star Wars, The Walking Dead: Survival Instinct. As part of their game development work, Terminal Reality developed a graphics engine (“Infernal Engine”). Infernal Technology has an exclusive license to patents related to the Infernal Engine, including those asserted against Microsoft. 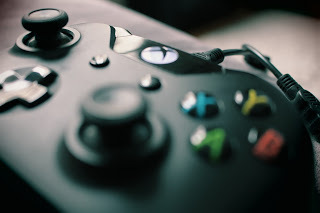 Infernal alleges that games developed by Microsoft on the Unreal Engine 4, CryEngine 3, CryEngine 4, Alan Wake Engine, Renderware Engine, Forge Engine Forzatech Engine, Northlight Engine, Unity Engine, Foundation Engine, Halo 4 Engine, Halo 5: Guardians Engine, and Halo: Reach Engine infringe the asserted patents. These allegations seem to include the lions’ share of games on Microsoft’s consoles, including but not limited to Alan Wake, Crackdown, Crackdown 2, Crackdown 3, Dead Rising 3, Fable Legends, Forza Motorsport 6, Forza Motorsport 7, Gears of War 4, Halo 4, Halo 5: Guardians, Halo: Reach, Kalimba, Ori and the Blind Forest, PlayerUnknown’s Battlegrounds, Quantum Break, ReCore, Rise of the Tomb Raider, Ryse: Son of Rome, Sea of Thieves, State of Decay, and Super Lucky’s Tale. Interestingly, Infernal’s case was filed in the Eastern District of Texas. While that venue was once a hotbed of patent litigation, in TC Heartland LLC v. Kraft Foods Grp. Brands LLC, 137 S. Ct. 1514 (2017), the Supreme Court limited venue in patent infringement actions to where (1) the defendant resides, or (2) the defendant has committed acts of infringement and has a regular and established place of business. This ruling has generally been seen as a significant limitation on bringing cases in the Eastern District of Texas. Nonetheless, Infernal alleges that Microsoft is a resident of the State of Texas, has a designated agent for service of process in the State of Texas, and has committed acts of infringement in the State of Texas. Whether the facts underlying these assertions are sufficient for venue in the Eastern District of Texas after TC Heartland remains to be seen. We will monitor this case and keep our readers informed of any updates. On March 30, 2018, Universal Entertainment Corporation (“Universal”) sued Aruze Gaming America, Inc. (“AGA”) and Japanese billionaire Kazuo Okada (“Okada”). 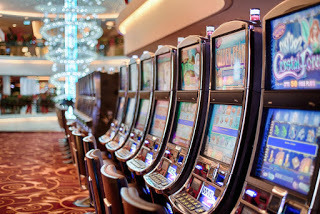 The asserted patents generally relate to slot machines. 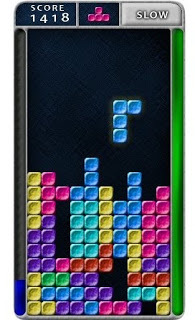 The accused products include a wide variety of products made by AGA, including the G-SERIES, G-STATION, CUBE-X family of games (e.g., “Fire and Thunder,” “King of Dragons,” and “Mighty Lion”). This case is interesting not necessarily because of the patents themselves, but rather because of the alleged corporate drama involving Okada, Universal, and AGA. According to the complaint, Okada was the founder of Universal, which at one point owned AGA as a subsidiary. Around 2008, Universal allegedly transferred all of its shares of AGA to Okada, spinning off AGA as an independent company. Around 2009, Okada allegedly instructed Universal employees to license certain patents to AGA, though a license was never executed. Around June of 2017, Universal purportedly discovered that Okada committed some form of “misconduct in relation to foreign business,” purportedly costing Universal around 2.2 billion Japanese Yen (around 20 million US dollars). According to the complaint and other news sources, Okada was later voted out of Universal (by, among others, his son, daughter, and wife), and Okada appears to have turned his attention to AGA while he attempts to regain control of Universal. This case is an excellent example of a danger commonly faced by many companies: founder overreach. Savvy, charismatic leaders can enable companies to grow fast, but such founders can become overly powerful and dominate company decision-making. In the intellectual property context, this can easily result in inventorship disputes, questionable licensing practices, and attempted theft of intellectual property (e.g., trade secrets) by departing founders. Needless to say, such issues can easily be remedied through careful legal counsel. Plaintiffs Lucasfilm Ltd. LLC and Lucasfilm Entertainment Company Ltd. LLC (“Lucasfilm”) have challenged attempts by defendant Ren Ventures Ltd. and Sabacc Creative Industries Ltd. (“Ren”) to dismiss a lawsuit by Lucasfilm alleging that Ren infringes Lucasfilm’s copyrights and trademarks and has violated unfair competition laws. The game at issue is Ren’s “Sabacc,” a mobile card game which allegedly infringes Lucasfilm’s Star Wars trademarks. “Sabacc” is the fictional game of chance in the Star Wars universe that was played by Han Solo to win the Millennium Falcon from Lando Calrissian. Lucasfilm has sold various real-life versions of the Sabacc card game, though Ren disputes the significance of such sales. 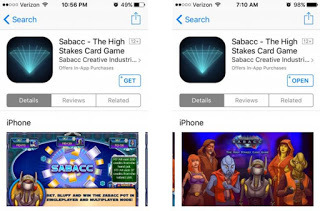 According to Lucasfilm, on the eve of the release of the movie Star Wars: The Force Awakens (Dec. 18, 2015), Ren–without permission from Lucasfilm–released the mobile card game “Sabacc.” Videos of the game available online suggest that it contains imagery which allegedly depict Han Solo, Lando Calrissian, and a holographic Millennium Falcon. Lucasfilm sued Ren on December 21, 2017. 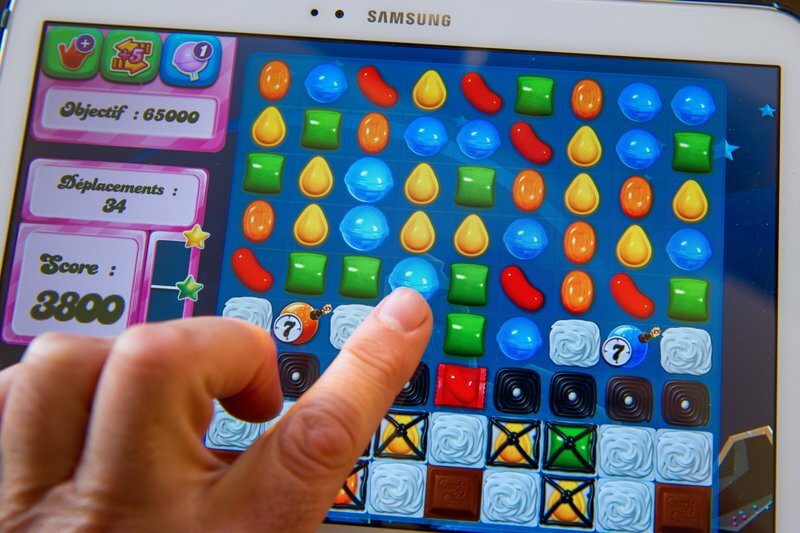 As many franchises sell real versions of in-universe games (Star Trek’s Tri-Dimensional Chess and The Witcher’s Gwent come to mind), the ruling in this case may have implications far beyond Sabacc. 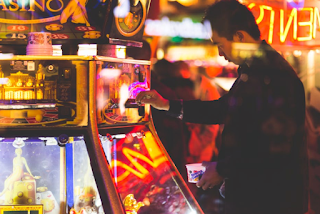 Konami, no stranger to invalidity challenges against their video gaming patents, recently had four more patents directed to slot machines struck down as directed to abstract ideas. On Feb. 21, 2018, the U.S. District Court for the District of Nevada granted summary judgment for defendant High 5 Games, LLC (“High 5”) against plaintiff Konami Gaming, Inc. (“Konami”). The Court, dismissing Konami’s case, found all four of Konami’s asserted patents invalid as directed to unpatentable subject matter. In the case, Konami alleged infringement of four patents: U.S. Patent Nos. 8,096,869, 8,366,540, 8,662,810, and 8,616,955. All asserted patents generally relate to slot machines, and High 5’s allegedly infringing products included various online and “land-based” slot machine games featuring a “Super Stack” feature (including, inter alia, “Bah, Humbug,” “Bollywood Bride,” “Dangerous Beauty,” “Diamonds of Athens The Dream,” “Shadow of the Panther,” and many others). said identical symbol is randomly selected anew for each play of said game, wherein said identical symbol is selected by virtually spinning a notional, non-visible, inner reel comprising a subset of said plurality of symbols. This decision underscores the continued impact of the Supreme Court’s 2014 decision in Alice v. CLS Bank. 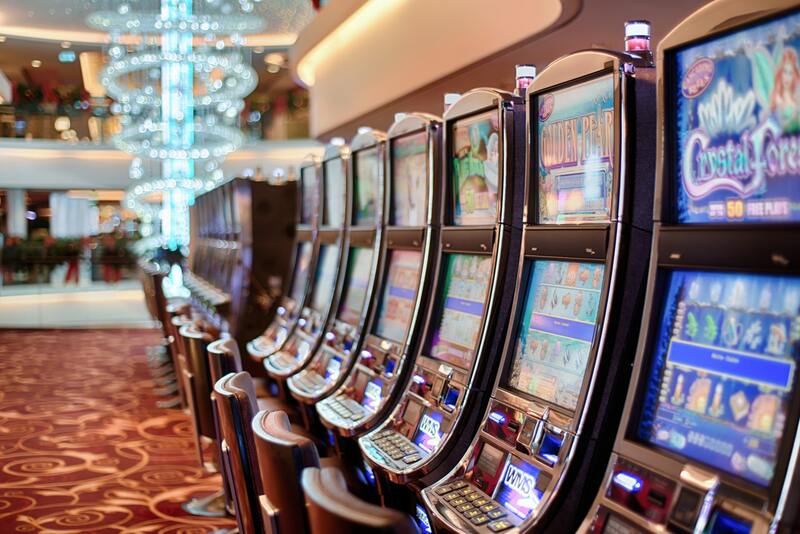 In this case, the Court was clear: “changes to game rules of a generic slot machine using conventional technology are not patentable.” Such a ruling may suggest that patents directed to game play rules may also be invalid as directed to abstract ideas. Patentees may improve their likelihood of surviving similar challenges by, where possible, tying their claimed inventions to technology and technical problems. On January 30, 2018, Barbaro Technologies, LLC (“Barbaro”) sued Niantic, Inc. (“Niantic”) for the alleged infringement of U.S. Patent Nos. 7,373,377 and 8,228,325. Barbaro’s asserted patents are generally directed to integrating real-world information (e.g., a real-world geographic location) with an augmented reality environment. Barbaro specifically asserts that both Niantic’s Pokémon GO and Ingress infringe the asserted patents. enabling the user to control the at least one secondary application through a second user interface. Barbaro and Google are provided in the complaint. This is case 2:18-CV-00773 in the District Court for Central District of California. We will track it and keep you apprised of significant updates. On January 17, 2018, U.S. District Judge John Michael Vazquez of the District of New Jersey dismissed all patent infringement claims asserted by Joseph Scibetta (a/k/a “Bankers & Brokers”) (“Scibetta”), against Slingo, Inc. and RealNetworks, Inc. (collectively, “Slingo”). The reason: none of Scibetta’s patents survived scrutiny 35 U.S.C. § 101.
determining whether the turned-up dealer’s card matches the corresponding turned-up player’s card, whereby at any time during the game or before the dealer may imposed step of disqualifying and discarding any got touched by a player. The other asserted patents (U.S. Patent Nos. 6,626,433, 7,331,580, 7,618,044, and 7,857,314) are similar. 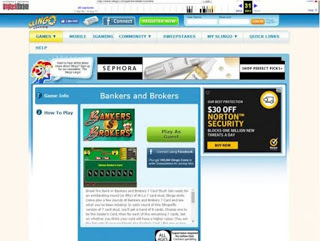 Slingo is alleged to have distributed an unlawful copy of BANKERS & BROKERS on their website slingo.com, which was later acquired by RealNetworks, Inc. The alleged copy of BANKERS & BROKERS is reproduced below (as retrieved from archive.org). On December 12, 2016, Slingo moved to dismiss Scibetta’s case. Among other assertions, Slingo claimed that all of Scibetta’s patents were invalid under 35 U.S.C. § 101. Scibetta’s case is not doomed. Scibetta still has a viable claim for misappropriation against Slingo. Moreover, while Scibetta’s trademark and unjust enrichment claims were also dismissed by the Court, the claims were dismissed without prejudice and largely based on pleading deficiencies. As such, Scibetta will be afforded an opportunity to amend and supplement his complaint. This case illustrates the difficulties of enforcing patents that, despite their presumption of validity, were granted prior to the Alice decision when the USPTO was using a different standard of examination. A trend is appearing where the presumption of validity applied to those patents by courts appears to be inherently lower than that given to more recently granted patents. Scibetta asserted five patents, and not one survived a motion to dismiss. Those looking to acquire patent portfolios, for example, should be particularly wary of purchasing patents which may look great but may face significant hurdles during enforcement. Sometimes, a single strong patent is worth more than a hundred unenforceable ones. On January 12, 2018, photographer Christopher Sadowski sued IGN Entertainment, Inc. (“IGN”) for copyright infringement. The copyright in question: a photograph of the Pokémon GO homepage on Sadowski’s cell phone, similar to (but not the same as!) the stock photo shown below. Sadowski licensed his photograph to the New York Post for a July 12, 2016, article regarding a man who got caught cheating on his girlfriend through Pokémon GO. It appears that IGN may have infringed Sadowski’s copyright by using the image when discussing the New York Post article in an IGN Hungary article titled “6 Crazy Pokémon GO Stories.” The image is absent from IGN’s U.S. version of the article. However, Sadowski’s case may have an Achilles’ heel. Because Niantic and Nintendo have intellectual property rights in their game (including the login screen), Sadowski’s photograph is arguably a derivative work, and his copyright would thereby extend only to the “material contributed by the author of such work, as distinguished from the preexisting material employed in the work.” That’s not likely to be much. Moreover, whatever minimal copyright Sadowski has in his photo “does not imply any exclusive right in the preexisting material.” Lastly, protection for a derivative work using someone else’s material in which copyright subsists does not extend to any part of the work in which such material has been used unlawfully (e.g., without the appropriate license). In other words, there’s a fair argument that Sadowski’s photograph rights are only as good as Nintendo and/or Niantic will allow them to be. Sadowski’s case against IGN is a cautionary tale for Internet content creators. While many questions about the applicability of fair use on the Internet exist, it remains a bad idea to use images from other websites–even news websites–without appropriate permission. Indeed, a royalty free version of the exact same photo exists and could have saved IGN a lot of grief.